We had just a few days of some Spring weather here in Northern California and it put me in the mood for Spring themed cards. 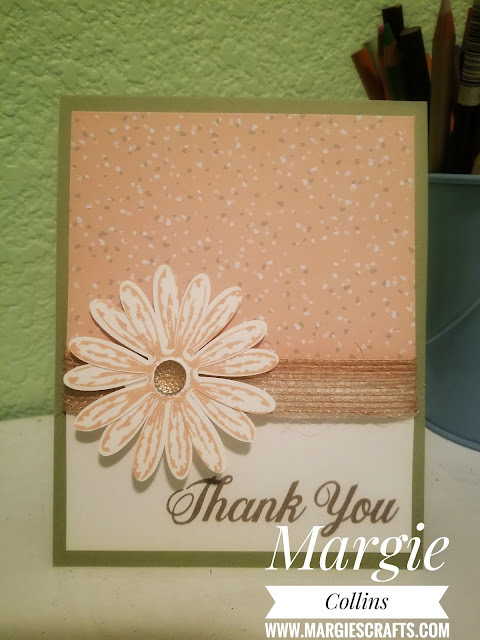 I had a spring card class this past weekend and this was one of the cards we made. All the ladies loved it and it was SUPER easy to replicate! Whisper White: 4" x 2 1/2"
Floral Romance speckled piece: 4" x 4"
Attach Whisper White to DSP piece and leave 1/4 inch border from the bottom. Wrap burlap ribbon around and adhere to the Pear Pizazz card base. Stamp daisy twice in Petal Pink and punch out both flowers. Adhere the flower pieces together and attach to front of the card with a dimensional. Adhere a gold faceted gem to the middle of the flower and DONE! 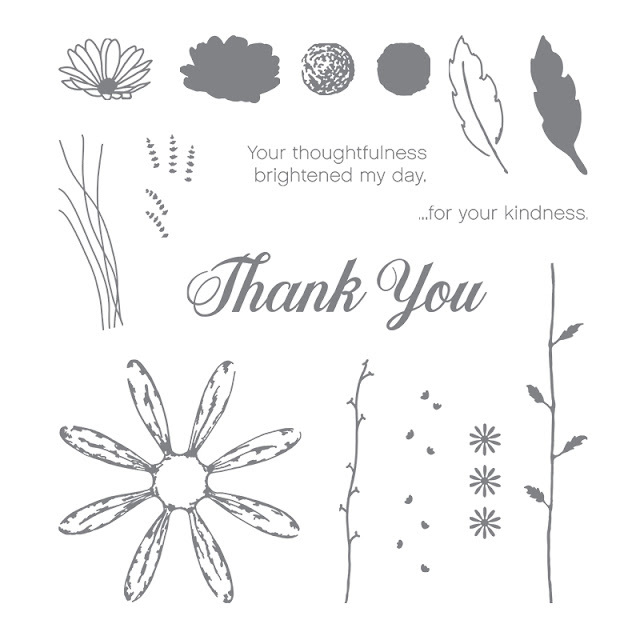 Click on the Daisy Delight stamp set below to see in the online store with more project ideas!